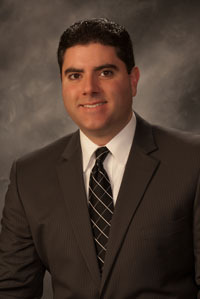 GREGORY S. SKIBITSKY, JR., ESQ. Greg was born in the Greater Pittston area and raised in the Junction section of Pittston. He graduated from Pittston Area High School in 1989. After graduating from high school, he received his Bachelor of Science Degree in Criminal Justice from the University of Scranton in 1993. He received his Juris Doctorate from the Dickinson School of Law in 1996. Since 1996, he has maintained a general civil practice representing clients throughout Northeastern Pennsylvania in a wide variety of legal matters including Personal Injury cases, Workers’ Compensation claims, Divorce, Custody, Insurance Claims, Bankruptcy and Adoption. In addition to his private practice, he has taught courses at the University of Scranton and Misericordia University as an adjunct professor. Additionally, since 2010, he has been employed by the Luzerne County District Attorney’s office as a part-time assistant district attorney. Greg resides in Duryea with his wife, Christine, and their children. Gene was born and raised in the Greater Pittston area, having resided in Hughestown until he graduated from Pittston Area Senior High School in 1997 as Co-Valedictorian. Gene then attended the University of Pittsburgh where he graduated with a Bachelor of Arts Degree in Political Science and Business in 2001. 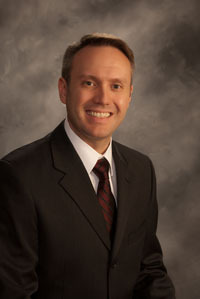 He received his Juris Doctorate from the Penn State Dickinson School of Law in 2004 and was admitted to practice law in the Commonwealth of Pennsylvania later that year. Since 2008, he has maintained a general civil practice representing clients throughout Northeastern Pennsylvania in a wide variety of legal matters including Personal Injury cases, Workers’ Compensation claims, Divorce, Custody, Insurance Claims, Bankruptcy, Estate Planning and Administration, and Adoption. In addition to his private practice, he serves as a part-time Assistant District Attorney assigned to the Major Crimes Unit in the Luzerne County District Attorney’s Office. Gene previously served as a full-time Assistant District Attorney from 2005 – 2008, and as an Administrative Law Judge for the Pennsylvania Department of Public Welfare from 2004 – 2005. Gene resides in Exeter with his wife, Stacey.